18-year-old Kirton Lindsey kid, Zack Leader, has signed with GravityBike HQ for his 2018 British Gravity Bike Championship campaign. The two-time Runner Up joins the Australian based outfit in what he hopes will give him the knowledge and tools to help him clinch his first BGBC title. After finishing second to Ian Round for two successive seasons in the British Gravity Bike Championship, Leader steps up to the next level and signs for the world’s biggest and most successful gravity bike team, owned by two-time IGSA World Champion Brett Phillips. “We are really excited to sign Zack to the GBHQ team” says Phillips. “His passion, dedication and commitment to the sport is incredible and matched only by his desire to win. 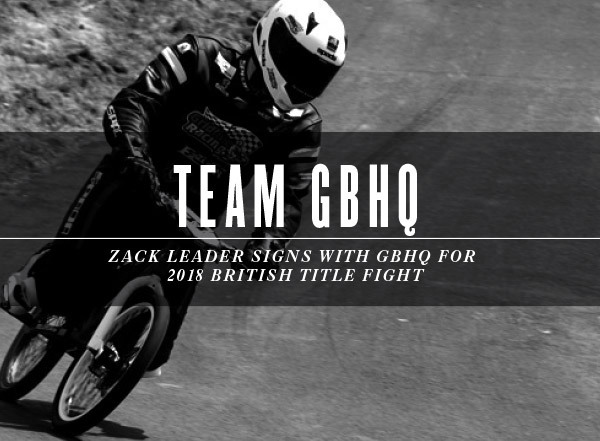 We look forward to supporting Zack with the knowledge, skills and finances to help him become the 2018 British Gravity Bike Champion” adds Phillips. The two time British Junior Gravity Bike Champion has joined arguably the most professional team in the gravity bike racing paddock worldwide, with some of the sports most experienced and knowledgeable individuals. Images: Courtesy of Zack Leader, Circa 2017.